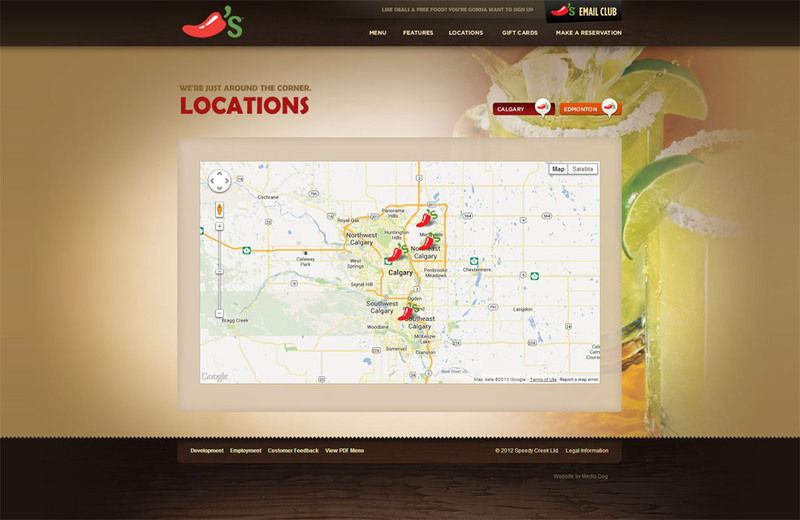 Chili’s Canada brings together an exciting menu of Tex-Mex and traditional selections for locations across Canada. 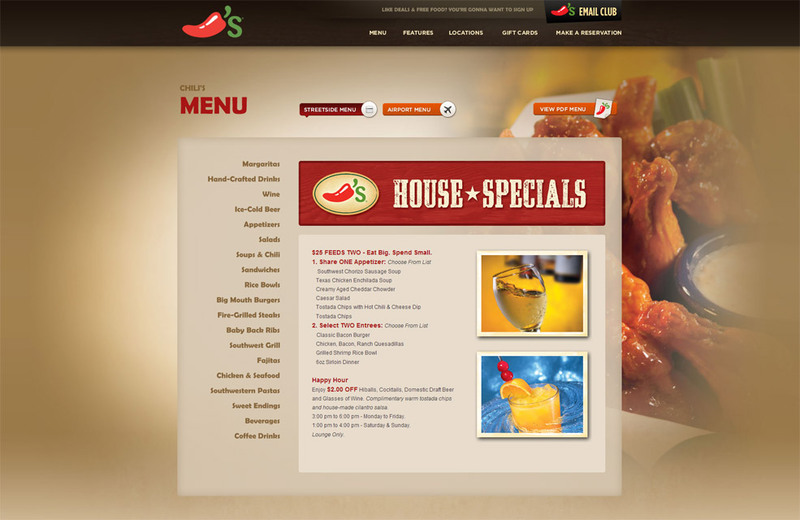 We were retained to create an engaging web presence that reflects the brand’s strength and showcases Chili’s one-of-a-kind menu. 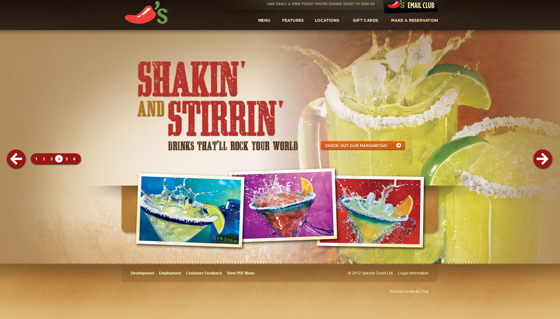 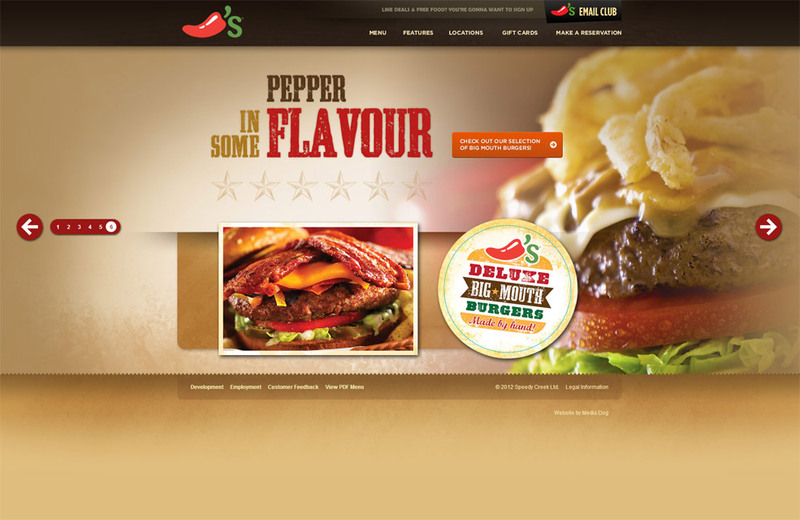 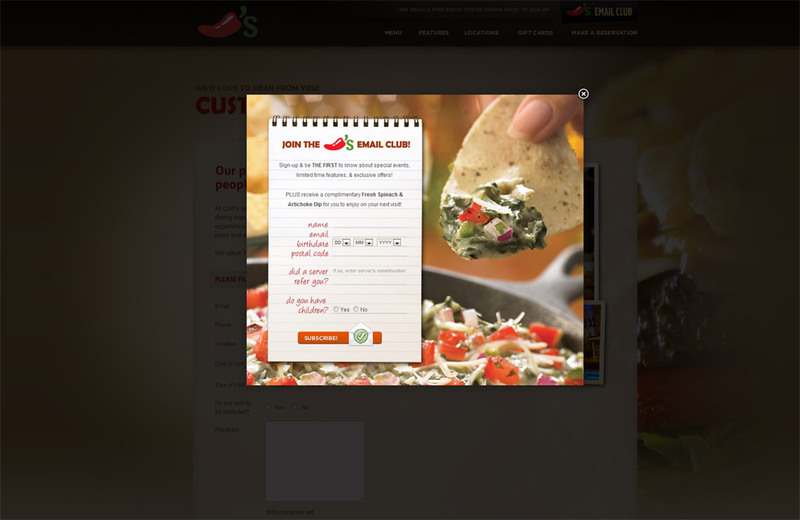 Tying together offline and online promotions, Chili’s.ca allows customers to interact with the brand in many ways. 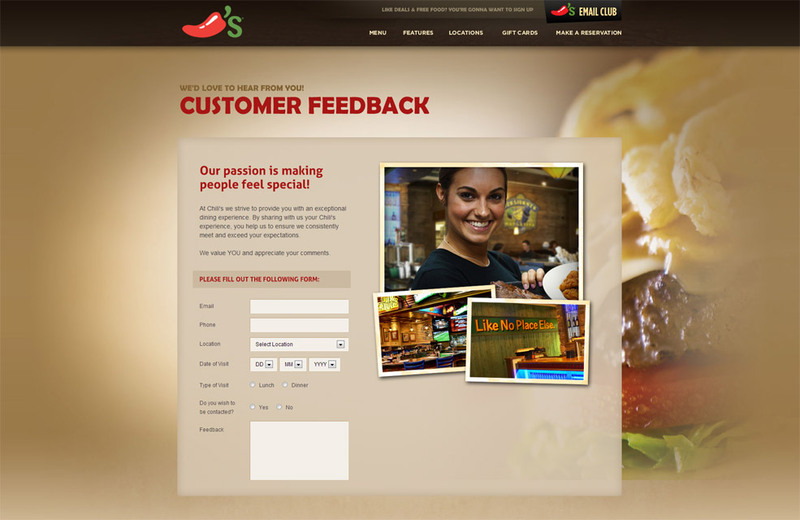 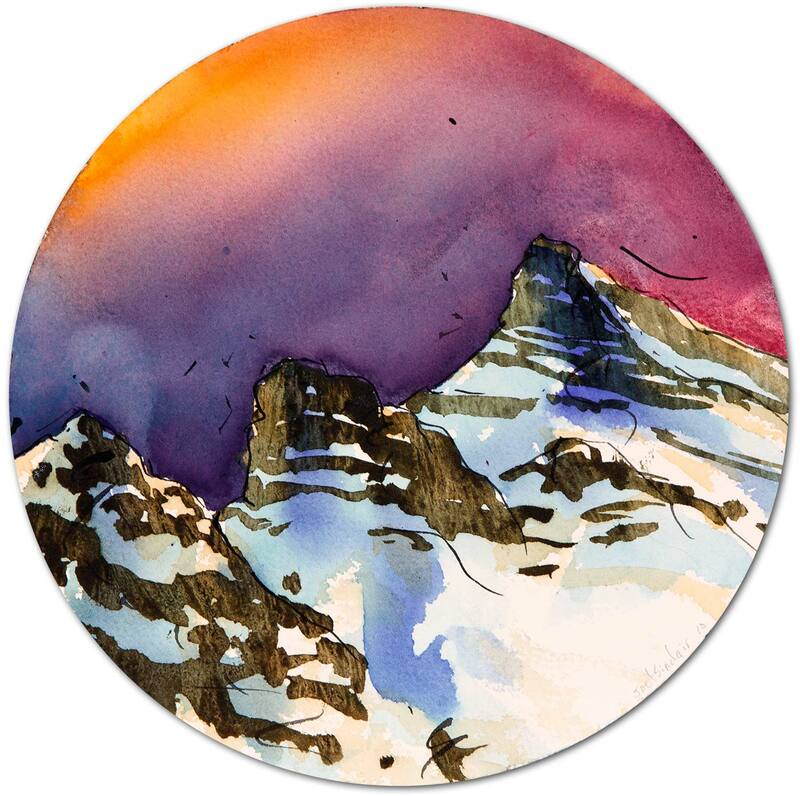 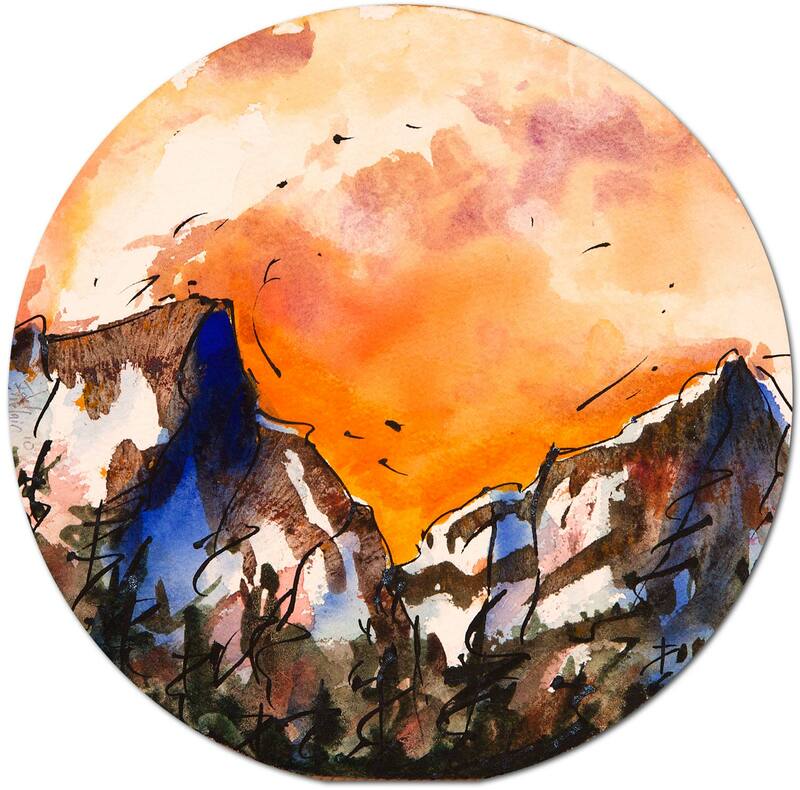 Email signups, surveys & feedback, a location finder, reservations and the ability to browse the menu before visiting the restaurant tops the bill, and entices customers to engage in a more meaningful and valuable way.